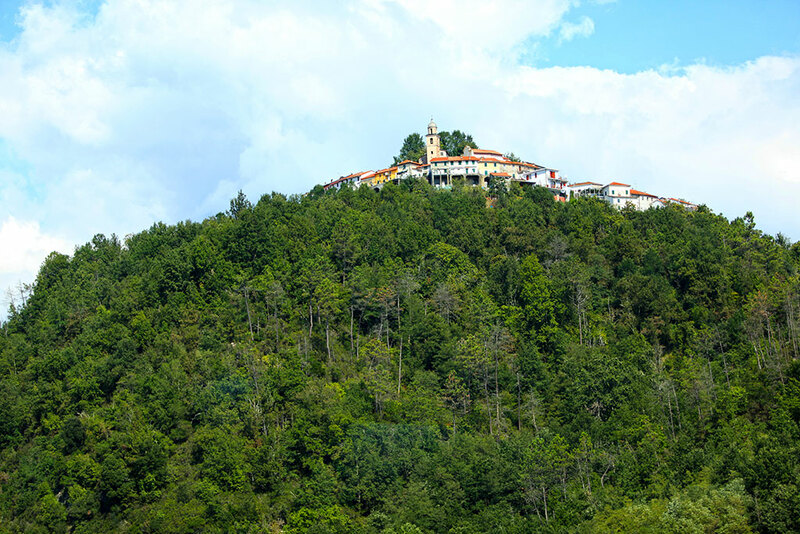 The walk up hill to get to the castle is definitely not easy (especially wearing flip flops), but the views and the experience is worth every step. 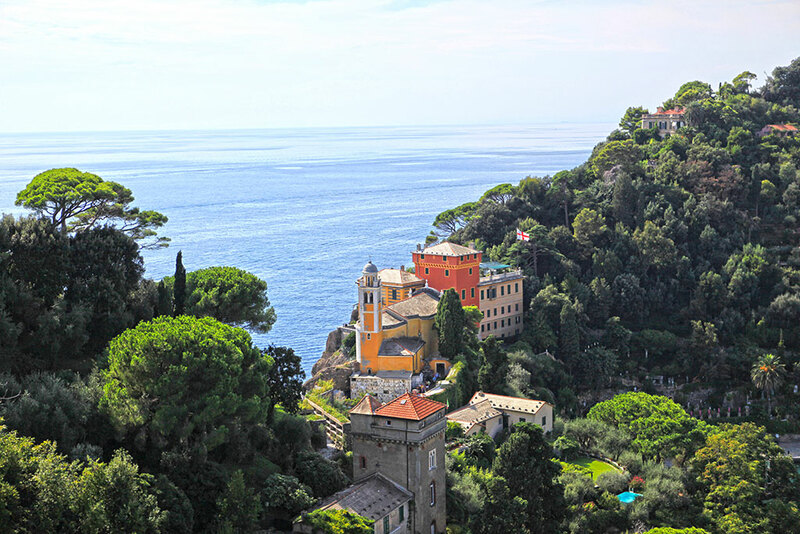 Castello Brown is a house museum located high above the Portofino harbor. 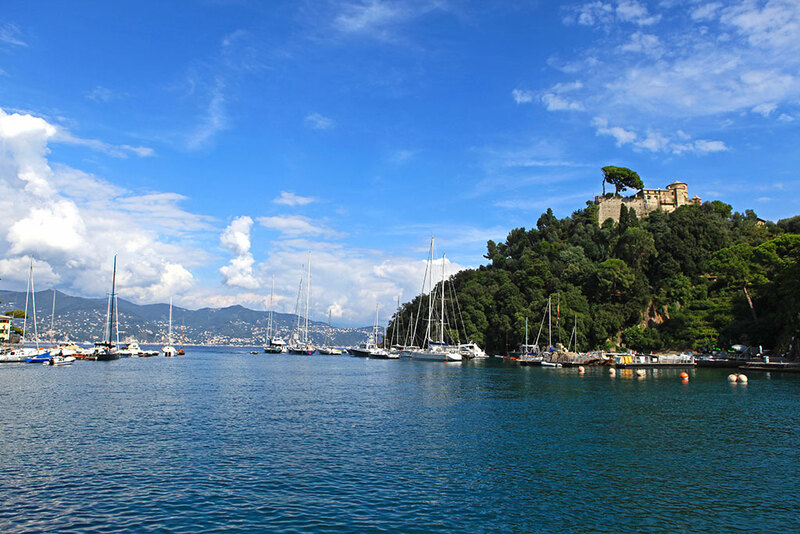 It has been there since the 1500 and it was used for Harbour defence during those times. 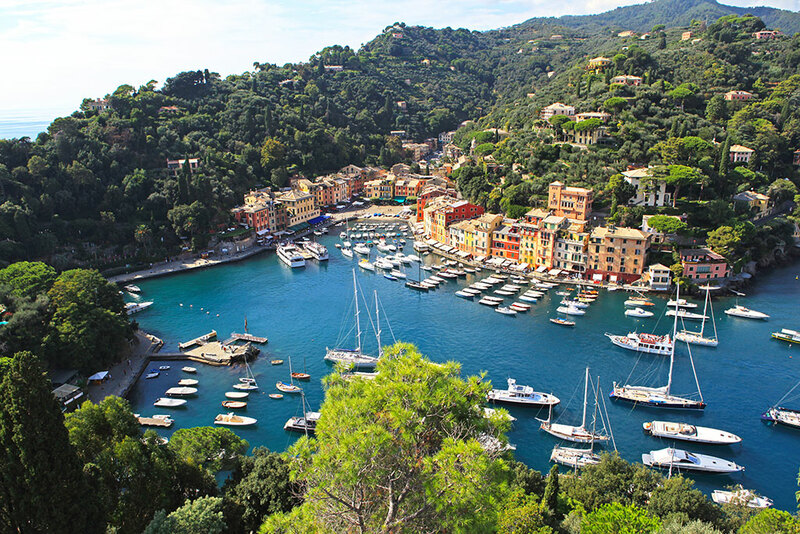 Portofino is an italian fishing village, with a beautiful pinturesque harbour. 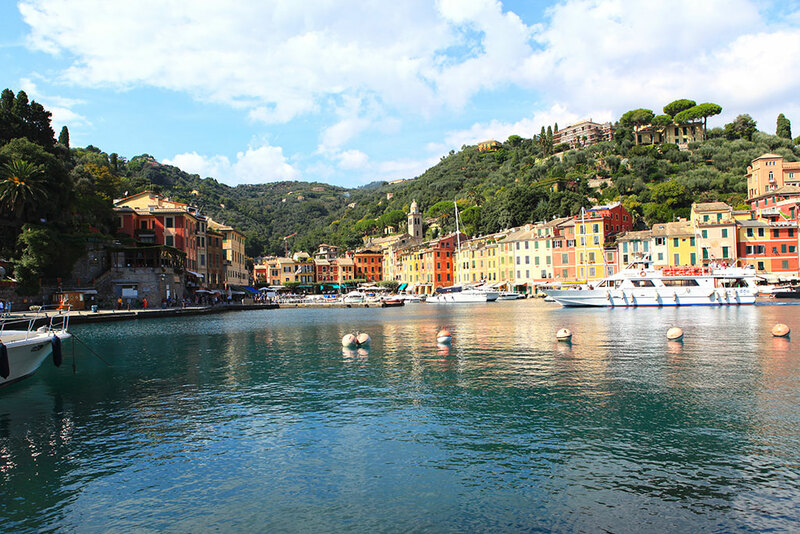 I always wanted to visit that place, so I had the opportunity since my cruise was docking in Livorno, which is really close to Florence, but I had seen Florence before, and I drove from Livorno to Portofino for 2 hours. 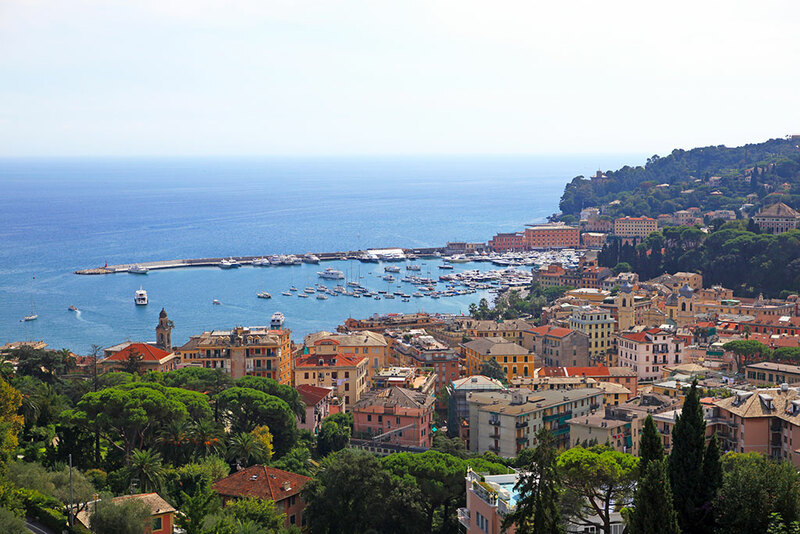 I really enjoyed walking the harbour, visiting the Brown castle in the hill where I took this picture. 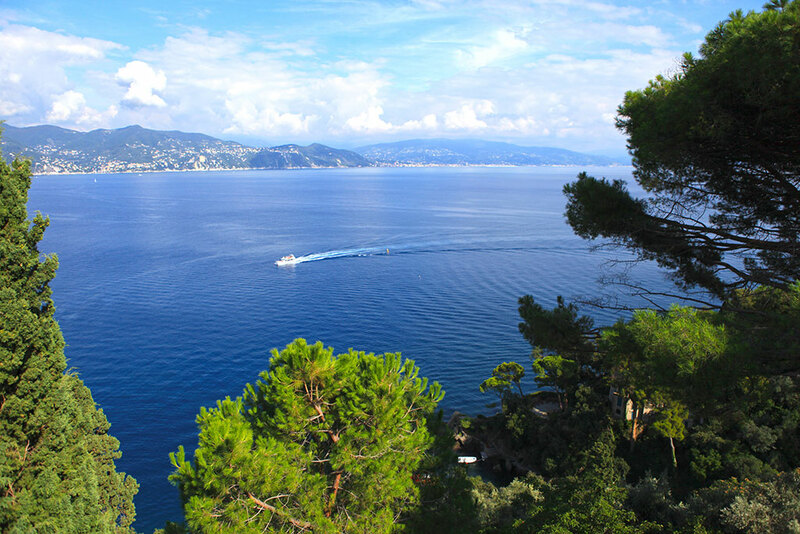 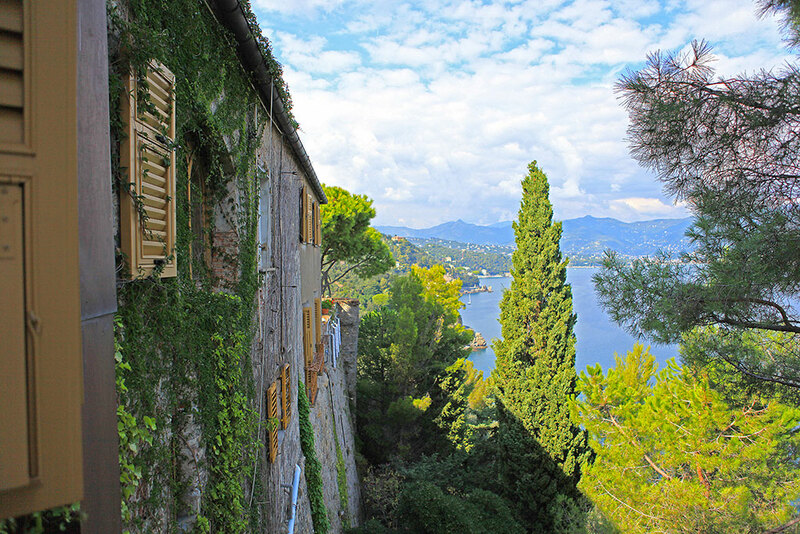 When you walk up the pine hill to visit the Brown Castle in the top of the Portofino harbour, you can enjoy amazing views from the terraces and the gardens. 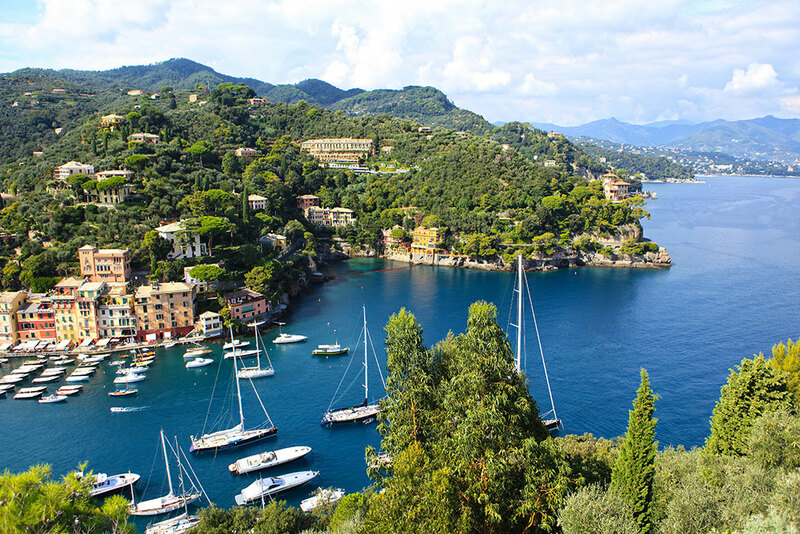 Portofino is an italian fishing village, with a beautiful pinturesque harbour.